Zadie Smith is an excellent writer and ‘On Beauty’ (winner of the Orange Prize in 2006) is a literary work of art, echoing E.M. Forster’s novel ‘Howard’s End’. Her descriptions are so much more than about what things look like, and are mini-essays getting at the very essence of what she is describing. So in addition to ‘on beauty’ (which incidentally sounds like the title of an essay), there are throughout the book serendipitious essays ‘on marriage/on family/on English weather/on sibling love and rivalry/on academia/on politics/on infidelity/on youth/on being black/on parenting’ etc. etc. Though this might sound boring, it’s not. Reviewers are divided about whether they found the book engaging and readable enough, I thoroughly enjoyed it. It is meant to be comic and there are some funny moments in it, although I found ‘White Teeth’ much more so. The only criticism I would have is that the ending, in comparison to the rest of the book, seemed a bit weak and left too many loose ends. ‘On Beauty’ is basically the story of a New England ivy league academic family. They happen to be of mixed race and culture which is typical in Smith’s novels. They love each other dearly, and do work at being a family, despite their varied interests and passions. Part of the novel takes place in England, and deals with all sorts of cultural and political and personal situations and indiscretions. Smith has woven together a story that is brilliant and ordinary at the same time. 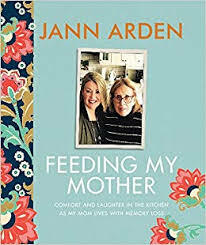 She has written her characters with great empathy and insight. Smith grew up multicultural and in an interview with her, she talks about absorbing that social aspect of her upbringing. “For personal reasons to do with my upbringing, the questions of accents, of class-as-revealed-through-voice, weighed very heavily on me. It’s actually an aspect of my fiction, of myself, that I find a little depressing. There are deeper differences between people than the social, but I find it hard to express them without making some reference to the social.” For me, it was the character’s voices that make them come alive. A few years ago I read ‘White Teeth’ which also deals with culture clash and social issues, but is lighter and more comic than ‘On Beauty’. Set in London, it is the story of two unlikely friends Archie Jones and Samad Iqbal and what happens in their families. 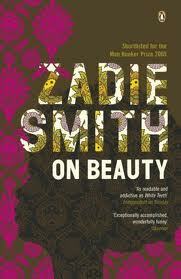 It is a serious book about multiculturalism and identity but Smith gives it warmth and humour. The theme of “white teeth” runs throughout with much talk about false teeth and root canals. White teeth are in fact, the one thing that all cultures have in common. Here latest novel just came out and is called ‘NW’. It is about an area in the Northwest corner of London, NW being the start of that postal code. 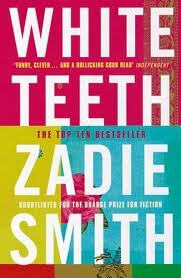 This entry was posted in Fiction and tagged On Beauty, White Teeth, zadie smith. Bookmark the permalink.